SB Series are the most intelligent and reliable Banknote Counting Machines which use Image Processing Technology to recognize banknotes and to discriminate between different denominations. 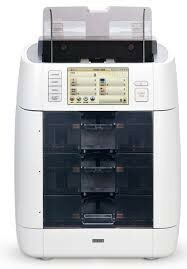 SB-3000, one of the advanced SB Series, is the world’s smallest fitness sorter having 3 pockets. SB-3000 has various and useful functions and keeps up with growing customers’ demand from all over the world. With modern design, 5” TFT Color LCD and user-friendly interface, SB-3000 provides every operator with more comfortable and efficient working environment. 3 pockets allow operator to perform daily cash processing job and sort banknotes by quality, denomination and counterfeit without any interruption. 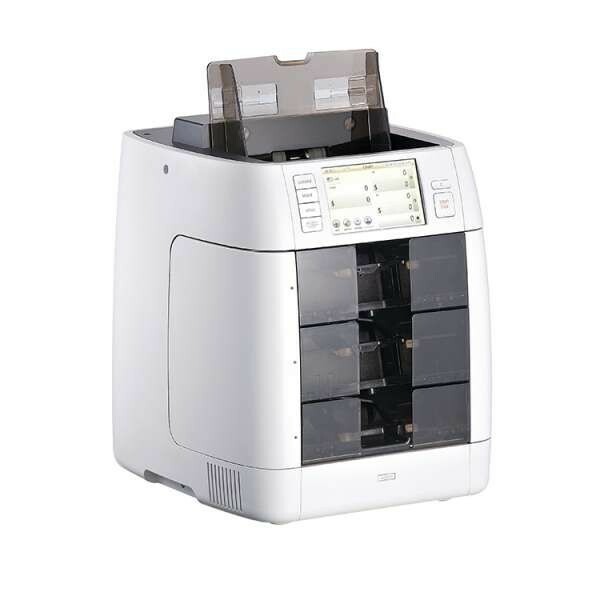 SB-3000 is 3 pocket fitness sorter, which can count not only cash but also checks and tickets. SB-3000 has all the features of SB-2000. SB-3000 has blacklist function, serial number of counterfeit banknotes. Blacklist function can further enhance counterfeit detecting capability. SB-3000 can also handle TITO (tickets, voucher). First, it scans and acknowledges gaming machine ID and amount. Second, it sends scanned images and analyzed ID, amount and so on (customizable on request) into PC. Third, TITO SW (in PC) stores voucher images with analyzed info. Finally, TITO SW (PC program) can send the info to Voucher server. SB-3000 is easy to remove jam and guides how to remove jam with video clip. Thanks to its patented rotatable wheels at the bottom, SB-3000 needs smaller operating space.